Dong Lu (or Tong Lu) was a very poor village, formerly called “the place of beggars.” It was probably the poorest place in the whole region near Peiping, China. The Vincentian Fathers started a Poor Mission in Dong Lu. By 1900, there were about seven hundred to one thousand Christians gathered about the little hamlet. The terrifying Boxer Rebellion sweeps across China in a deadly manner. 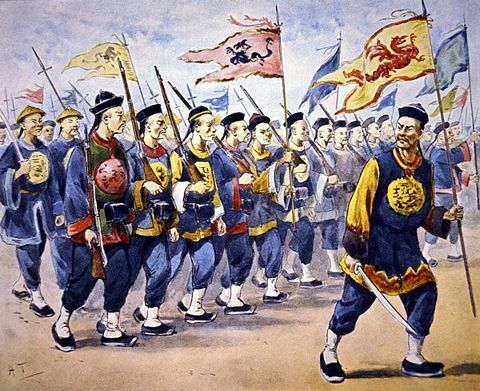 Suddenly, the Boxer Rebellion swept through China and grew to such proportions that even small places like Dong Lu could not escape its fury. 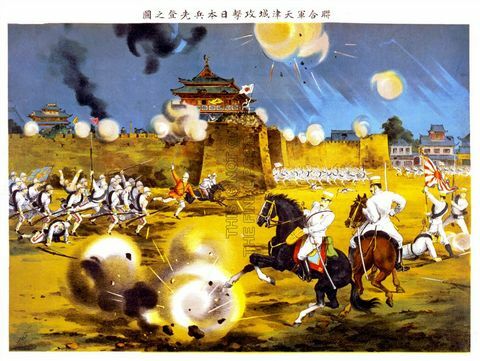 In April of 1900, a force of 10,000 hostile soldiers attacked Dong Lu. The Chinese priest of the village, Father Wu, prayed to Mary, asking for her help and protection. 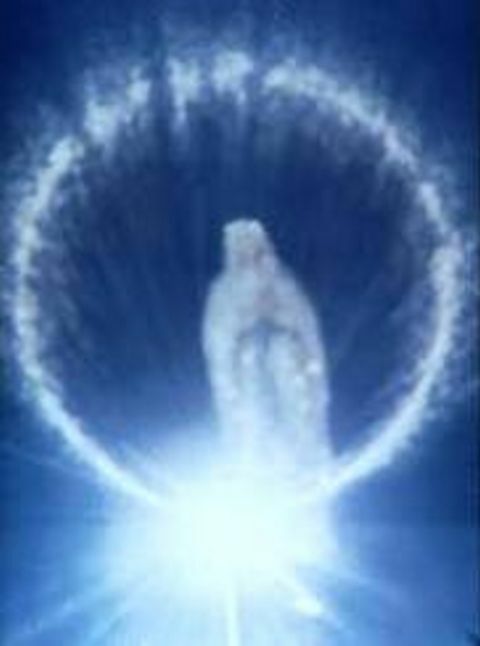 Suddenly, a “woman in a white robe, surrounded by light” appeared in the sky. It was the beautiful glowing image of the Virgin Mary. The soldiers, in a senseless rage, started to fire their bullets into the sky at her. But the apparition was not harmed and would not fade. 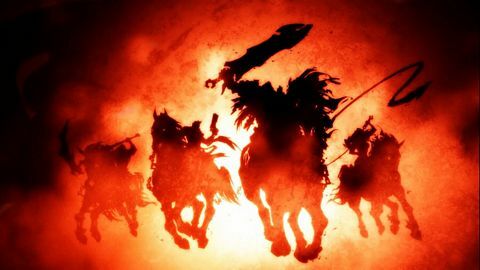 When the apparition did not fade, the attackers did not have any time to reorganize because a “fiery horseman,” probably St. Michael, came charging towards them, surrounded by “blazing flames of fire.” The strange horseman put fear into the 10,000 rioters, and they scattered and fled – never to return. After they disappeared over the horizon, Father Wu then confessed to his flock that he had invoked the help of Mary. But, being barbaric fools, they shot into the sky at the Mother of God. 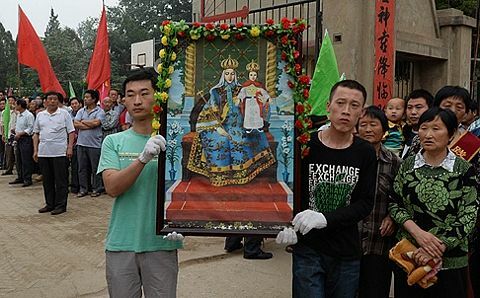 A new church was built on the site, and Father Wu placed a picture of Our Lady on the main altar. He asked the painter to dress Our Lady in the royal robes of the dowager Empress Tzi-His. The image of the Blessed Virgin in the royal robes of the pagan Empress with the Christ Child on her knees is a vivid expression of Chinese tradition. Though her robes be pagan, she belongs to every age, to all people, and to every race. 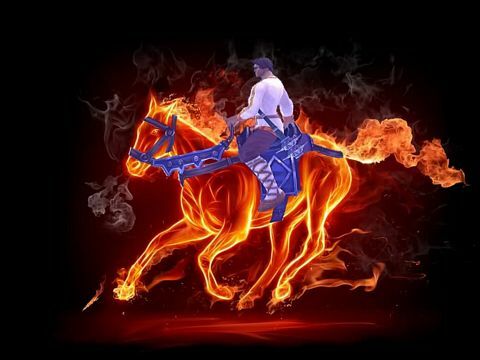 St. Michael the Archangel appears on a flaming horse with a fiery sword. The beautiful church was built in her honor as a constant reminder to the people of Mary’s loving and motherly protection. The church became a famous place for pilgrimages, starting in 1924. Pope Pius XI approved it as an official Marian Shrine in 1932. But, during World War II, it was destroyed by Japanese bombs. Fear scatters the 10,000 rebels as St. Michael charges at them. Yet, the Blessed Virgin would return to Dong Lu in dramatic fashion in 1995 before 30,000 worshippers. The grateful Chinese honor Our Lady of China in Dong Lu.